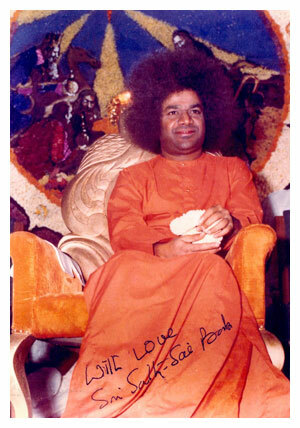 Loving Sai Ram and Greetings from Prashantinilayam. Recently, there has been a lot of talk about abolishing poverty. Quite a lot of radio time has been devoted to the subject by overseas broadcasters, and that is because of two political factors. Firstly, Britain , which is currently heading the G8 group of countries, has launched a major effort to uplift Africa. Secondly, the UN too is concerned about poverty, and is mounting an effort of its own to eliminate poverty around the world. I am happy about these developments, because, as a Bishop from Honduras once put it, poverty is THE great weapon of mass destruction. Adversaries in a conflict use weapons in order to injure, incapacitate and if possible destroy the opponent. As far as WMDs are concerned, people tend to think in terms of atom bombs and hydrogen bombs. Few realise that during the First World War, chemical weapons were used causing a lot of death. And during the Second World War, mass destruction was caused several times simply by mounting a massive effort. For example, in 1945, the city of Dresden in Germany was raided throughout one night by hundreds and hundreds of British and American bombers. Bombs simply rained from the sky, and thousands of houses were completely burnt; tens of thousands of people were killed as a result of all this. Tokyo was similarly fire bombed by resorting to what is called saturation bombing. Once again, tens of thousands died and this happened before the A bomb attacks. The military point about the A bomb is that one such bomb does what hundreds of planes did earlier. It is thus an efficient killer. You may wonder why I am kicking up a big fuss about atom bombs and all that when I am supposed to discuss poverty and its eradication. For a very good reason. You see, people and nations become scared when they feel someone is threatening them. If they feel the adversary has WMDs, then they try and do all they can to see that they are safe and not wiped out. They also take aggressive counter measures. Poverty, on the other hand, is seldom seen by the rich as a WMD. That is why it does not receive the attention it deserves. Perhaps the haves think that poverty would destroy only the poor and not touch them. Is that true? We shall come to that later. Turning to poverty itself, we can construct a hierarchy. To start with, we have tribes or communities that are completely cut off from the rest of the world. Believe it or not, such tribes are to be found even today deep in the Amazon jungles. 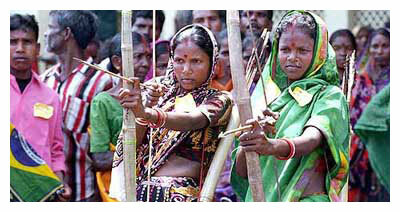 In fact, there are such tribes in some of the Car Nicobar Islands that form a part of India . The tribals in Car Nicobar apparently landed there from Africa about 60,000 years ago, and they lead what we would call a very primitive life. They are very isolated and prefer to be that way. The British left them alone, and after Independence , the same attitude was adopted by the Indian Government. During the recent tsunami, these tribals, using their native instincts, ran away to high ground long before the tsunami actually hit and devastated many of these islands. They were all safe because they knew how to protect themselves without any modern tsunami warning systems! Later, when an Indian Air Force plane flew over the island to survey the damage from the air, believe it or not, these tribals shot arrows at the plane! Let me now move on to the next category. This would be people in places like sub-Saharan Africa. The people here have problems with food, water, and shelter. They struggle and live in misery until death liberates them from bodily suffering. I now move on to countries like Nigeria or Congo, for example. God has blessed Congo with a lot of valuable minerals and diamonds. Congo should therefore be an affluent country. It is not. For nearly a hundred years, the colonialists from Europe milked it dry. After independence, a few people in Congo managed to become very rich at the expense of millions of others, all of whom are wallowing in abject poverty. Let us pause for a moment and compare sub-Saharan Africa with Congo. In the former, there are no rich. Those who live there do so because they have nowhere else to go. Unlike the tribals in Amazon or Car Nicobar, these people cannot sustain themselves. They therefore can be called destitute. Their miserable state is largely due to the harsh environment. By contrast, in Congo, it is a different affair. There is natural wealth but no social and political system that would ensure equitable distribution of that wealth. In other words, exploitation by unscrupulous individuals is an important cause for poverty in Congo. Exploitation, shameless and ruthless exploitation of the weak, the ignorant and the poor by the greedy and the powerful - that is what is often responsible for poverty in many parts of the world. Such exploitation allows one to become disgustingly wealthy without making heavy investments, as is normally required in business and trade. If now we move up the ladder, we have countries like China and India that in many respects are quite advanced. Yet, there is also a lot of poverty in these countries. Indeed, even in a country like America, which is the world’s number one economy, there is poverty. We had better keep all this in mind when we discuss abolishing poverty. Earlier I mentioned that Britain and the UN are becoming serious about eradicating poverty. Besides these, many agencies including the World Bank and the IMF are also interested these days in measures for poverty eradication. Well intentioned as all these efforts are, I am not sure if they will ever succeed. That is because in my opinion, none of these efforts goes to the root of the problem. For the basics, we of course have to turn to Swami’s teachings. Before we do that, let me for a moment examine some aspects of this poverty business. Most often, poverty is caused by inequitable sharing of wealth. If there is wealth in a country and a tiny percentage of people in that country manage to lay their hands on most of this wealth, then it is inevitable that most of the other people in that country would be poor. This has always been the case in history, in the France of Louis the XIV, and in the Russia of the Czars. Swami puts it beautifully. He says there cannot be a mound without a pit. I suppose you get the idea. If you see a mound of mud somewhere, it means that a pit has been dug somewhere else. With respect to poverty it means that if a few are stinking rich, that is most probably because their wealth has come from the exploitation of many elsewhere. I know many would take exception to this statement and argue: “Listen, have you not heard of successful entrepreneurs? Can not wealth be acquired by legitimate means?” I entirely agree with that proposition and that is why I was careful in drafting the earlier sentence. Yes, some people might indeed become rich by legitimate methods. However, if they do not make a serious attempt to share their wealth with the needy, at least to some extent, then serious questions do have to be raised in such cases also, about the wealth these people have accumulated. I now turn to the teachings of the Lord, given first as Krishna and now as our beloved Swami. The first thing we note is that man really cannot claim ownership to anything. As Swami says, everything belongs to God. True, at the operational level we do need to have some facets of ownership. Take a motor car for example. At the worldly level, it is necessary to have an owner for it, for legal and security reasons. Even the Vedas accept the ownership concept, but within bounds. But when the desire for ownership becomes greed, then there is trouble. Today, except air, man is claiming ownership almost everywhere and of almost everything. Except the Antarctic, every square cm of land belongs to some person or corporation or some country. Antarctic is an exception thanks to a UN Treaty. Where water is concerned there are even ownership fights. There is ownership of minerals and oil underground. In fact during the first Iraq War, one British newspaper wrote, “We discovered oil there and it therefore belongs to us!” Where the oceans are concerned, in the olden days, the international boundary extended about three miles into the sea from the coast. Now they have economic zones that extend hundreds of miles. Indeed, in many places there are fierce disputes about this ownership. What has ownership got to do with poverty? Quite a lot. Let me give an example from Indian history. You will recall that the Industrial Revolution occurred first in Britain. As a result, Britain became very strong in industrial manufacture, and in due course, textile mills came to be established in England, particularly in the city of Manchester. Now mills produce a lot and the cloth produced had to be sold. The textile producers in England needed a market, and what better market than India with its huge population? Finding that Indians wear dhotis, the mills of Lancashire began to produce dhotis and dump these in the Indian market. For thousands of years, till the arrival of mill spun dhotis, men in India used to wear handloom dhotis. When the mill dhotis came into the Indian market, a large number of people took a fancy to them as the dhotis were finer. Also, they were priced lower; the producers could do this because of mass production. The result of all this was that hundreds of thousands of poor weavers in India suddenly found that they could not sell their produce anymore. They were getting wiped out by foreign competition from a richer, more powerful and technologically more advanced colonial power. 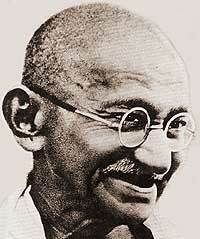 That was when Mahatma Gandhi got into the act. His heart bled for the impoverished weavers sunk into debt and misery. He launched a movement for the boycott of British mill goods and as a symbolic gesture burnt a small pile of imported dhotis. I am mentioning all this just to give a glimpse of socio-economic forces and how they operate to create poverty. Where does ownership come into this? Well, in this case, India was ruled by the British; they acted as if they owned India , and thus it was they were able to dump their mill products so that British shareholders might get a good return, even if meant driving hundreds of thousands of poor Indian weavers to the very edge of poverty. Just to complete the picture I might add that Gandhi’s boycott programme was a great success, so much so many mills in Lancashire had to close down! This in turn produced a lot of anti-Gandhi feeling amongst British labour. When Gandhi went to England in1930 for the Round Table Conference with the British Government, he went out of the way to visit Lancashire . He got a hostile reception, naturally, but when he patiently explained why he supported the Indian weavers who had earned their livelihood through handlooms for thousands of years, the mill workers there understood his point. By the way, right now, in the name of globalisation, free trade etc., a lot of this story is being replayed in various forms round the world; but I shall not get into that here. Let me now leave history and politics and move on to spirituality. When God created the Universe and put man on earth, He made sure that man was well provided for. Everything that man could ask for was there. There was air, water, land, mountains, rivers, lakes, trees, animals, etc., etc. Everything was free, and for thousands of years there was no serious problem. Problems arose later on account of two major factors. First, the exponential growth of population. Indeed, it is population growth that in a large measure is responsible for the water crisis that much of India is facing today. The second factor is the demand for raw materials for various types of manufacture, demand for commodities and of course demand for food. All these have unleashed forces of greed and exploitation; and the only anti-dote to all this is spirituality. Let me give one example of how innocent people get affected by what happens far beyond their boundaries. Coffee is an important product of Uganda. Thousands of small farmers and cultivators are engaged in coffee production and dependent entirely on it for their livelihood. Recently, thanks to international market forces, the price of coffee has crashed [partly because of dumping from other better off countries]. This has left the Ugandan people in the lurch. Meanwhile, the price of oil on the international market is shooting, which means that these poor people of Uganda have to pay an astronomical price in terms of their earnings, for importing oil. Think about it - these people’s income has been robbed; and on top of it, they have to pay a huge bill for fuel. The long and short of it is that market forces unleashed by the rich and the powerful are playing havoc with people in many parts of the world. People say, “Tough luck, but that is what free market is all about.” It is easy for corporate executives to talk like that but I ask, “Is marketing just a matter of making money? Are there no morals and scruples attached to it? Business School Pundits would say, “Sorry no!” That is where I strongly disagree. You see, as Swami says, we are all humans first before we are corporate executives, businessmen or whatever. Every human being must have daya or compassion. A person without compassion is not a human being at all. Moreover, all are bound by Dharma; no one can claim exemptions in the name of politics or business or whatever. It is only when Dharma is thrown to the winds, as is the common practice these days, that all kinds of problems crop up. When people want to exploit others, they conveniently sweep Dharma under the rug. And when exploitation increases, so does poverty. In short, unless Dharma is brought into the picture somewhere or the other and strongly too, I cannot see how poverty can really be eliminated. Let me now spell out what precisely I mean by the observance of Dharma in the context of market forces, globalisation, etc. Dharma in this context really means Atma Dharma. And observing Atma Dharma really means strictly following one’s Conscience. Here is an example of how Conscience enters the picture. I don’t know whether you are aware of it but in many parts of Africa there is severe conflict. In fact, some years ago, there was genocide in Rwanda in which about a million people were killed. This was no doubt an extreme case but the fact is that a lot of people in Africa do get killed by violence. Almost invariably, death is caused by guns. Now in all these conflicts in Africa, regular military small arms are used. These are not manufactured in Africa; they are all imported. And huge sums of money are spent on such import, money that could and ought to have been put to better use. Armed conflict in Africa was proving to be such a huge hindrance to the development of the continent that the UN set up a Committee to see what could be done to deal with the problem. The Chairman of the Committee was an African and he made an appeal to the other members, most of whom were from the rich countries. He said, “Please do not export arms to Africa.” It was a simple request. And you know what these other members said? Under pressure from the arms manufacturers in their respective countries, they argued that market forces cannot really be controlled in a free market environment. This of course is pure humbug and the rich countries merrily impose sanctions as and when they like. Leaving that aside, from the Atma Dharma point of view, should not the arms manufacturers have voluntarily taken steps to prevent export to Africa so that people there would not get unnecessarily killed? What was more important? Making money and increasing profits, or saving lives? I don’t know if you are aware of the enormous amount of money involved in creating and providing luxuries. In the Western world, all kinds of luxuries are being promoted to attract the rich. Why do the rich go for such luxuries? Because they think they own the money they have and can do what they want with it. According to the present legal system they might own the money. But morally speaking, does not all that wealth actually belong to God? You may be shocked to hear that but that is essentially what Krishna says in the Gita. I mean man takes oil out of the ground and sells it at a high price. Right now, crude sells for about $ 55/- a barrel. Fine, but what about paying something to God who put oil below the ground in the first place? Does anybody ever think like that? And how does one pay God? By seeing God in the poor and the suffering, and doing something for them. I am firmly of the opinion that unless we take seriously the concept of trusteeship, we cannot really find any lasting solution for the poverty problem. Whatever we have, including our body, our intelligence and worldly skills, really belongs to God. In that spirit, we must regard ourselves as God’s Trustee and use the resources given to us, for and on His behalf. Let us take a rich tycoon. Say he has made a lot of money not by fraud by legitimate means say. Fine. He can certainly keep a part of his earnings to meet his needs, and he can even lead a comfortable life if he wants to. Swami says that all this is fair. But anything beyond that must be used for public benefit in an appropriate manner. In Western countries this concept is accepted in some measure and many wealthy people have set up foundations for charity. But much more needs to be done. At this juncture, I wish to recall what happened when Swami visited Bombay (now Mumbai) in March 1999. One of the engagements was a huge welcome by a Committee of Prominent Citizens. This welcome was accorded in the Cooperage Football Stadium in South Bombay. About a hundred thousand people were present there, a good many of them being the elite of Bombay The place was packed with the rich, the famous, and tens of thousands of the upper middle class. I have not seen such a crowd of that type ever before, coming for Bhagavan’s Darshan. Swami took His seat on the dais, while many elite citizens of Bombay made welcome speeches. Actually, they were more in the nature of prayers seeking Swami’s direct protection. The speakers all essentially said, though in different words, “Swami, we are in danger. Bombay is no longer a safe city. People are kidnapped when they go out for a morning walk. Children are kidnapped while returning from school. There is heavy extortion by criminal gangs,” and so on. What the Bombay elite were complaining about was the Reflection, Reaction, Resound associated with their misuse of wealth. If instead of spending money like this, the money is invested in building toilets, schools, establishing medical fund, etc., for the poor, it could relieve a good bit of misery for at least some people. Such thoughts simply do not occur to the haves. They spend part of their time in trying to multiply what they have and the rest of the time in having a good time with the money they accumulated. Then one day or the other, they have to pay the price. By the way, what applies to elite of Bombay applies also to rich nations. They may feel they are protected by oceans and security systems. But the Law of Reflection, Reaction, Resound has its own way of paying back. In this sense, poverty is not only a WMD for the poor but an agency of huge insecurity for the rich nations. Getting back to the issue of the abolition of poverty, many people, both in the developed and in the underdeveloped countries, say that unless corruption is eliminated, poverty cannot really be abolished. Yes, corruption is a big problem and it must be got rid of. However, there are no quick fixes, as many seem to imagine. In some countries, they have even awarded the death penalty in some high profile corruption cases, but all that has not put an end to corruption. Corruption exists not merely on account of the greed of the individual but also because of other social factors. Consider a bus driver in India. This driver no doubt gets a salary but invariably, that is not enough. Wherever he turns, the driver has to shell out money. Prices of many necessities are high. Even groceries and vegetables are quite costly these days. The price of cooking gas has sky rocketed; yet, the economic pundits say that there is too much government subsidy on cooking gas and that it must be removed. Education these days costs a fortune. Next, suppose the driver’s child has a hole in the heart. That is like a death sentence. He has nowhere to turn. I know such things happen all the time, after having studied the case histories of many who have been saved by Swami in His Hospitals. For every one person saved, there are hundreds who are not. In addition, wherever you turn, they want a bribe. Want a birth certificate, pay something. Want a death certificate, pay something. So on it goes. What can this poor bus driver do? His salary is just not enough. Inevitably, he colludes with the bus conductor and together they operate an off the record collection system. Experts sitting in IMF and the World Bank simply do not have any direct personal experience of going to a transport office for a driving license or to some other office for some certificate or the other. They do not know anything about the kind of life poor people lead. To some extent, corruption is driven by poverty. Stated this way, the removal of corruption and the removal of poverty become two intertwined problems. From one side it looks as if poverty removal would not succeed unless corruption is eliminated; this is because any money pumped in for poverty removal would be lost in corruption. On the other hand, unless poverty is removed, corruption would continue. As if all this is not enough, we have another problem. These days, the media is constantly glamorising the rich. Whether it is on TV or newspapers or pulp magazines, all we see are celebrities and news about their high style of living. This news attracts not only the middle class but also the poor, because TV is everywhere; one cannot escape it. The result is that some among the poor want to live in high style, but they do not have the money to do that. So what do they do? They take to crime. The kidnapping that the elite devotees of Bombay complained about to Swami is the direct result of the rich flaunting their wealth. What I am driving at is that thanks to all this flaunting, while some take to crime for making money, officials who are in a position where they issue certificates and clearances, tax authorities for example, resort to corruption. By the way, people in the developed countries who cry hoarse about corruption in India, or Bangladesh or Nigeria, conveniently forget the fact that their own corporations offer bribes left and right when they want things done. Why do they not be principled and say, “If we cannot promote our business without giving bribes, we shall not”? They will not do that because they are after their market share all the time. I am sorry if what I am saying sounds rather grim but then, elimination of poverty is not just a case of having this scheme here or that scheme there. If we are serious about the removal of mass poverty around the world, then I strongly believe that the whole of humanity has do a rethink and change. Poverty can be eliminated only when the rich and the poor both change their attitudes. The rich, particularly, must feel that the wealth they now enjoy is really not theirs but that of God; they are mere Trustees and ought to act for and on behalf of God in managing that wealth. A cashier in a bank handles every day a huge amount of cash. Just because he handles cash, he does not think the money belongs to him. The rich must treat their wealth in the same manner. Placing a strong ceiling on desires, they must try every means possible to use that money for the benefit of humanity. Businessmen in particular, have to be very careful. Today, the business world is all about giving good returns to shareholders, grabbing as much of the market share and what not. All these greedy ideas must go. In short, humanity must make a sharp turn and move away from consumerism, which has literally gone beyond all decent and reasonable limits. So much money is being invested on activities and trade that pander to the senses and the baser instincts. So much money is being spent on the arms industry. As for gambling, the size of that industry is mind boggling. All this is a total waste. Any one who is serious about loving God would never promote such activities. What I am saying is important. Abolishing poverty does not merely mean that the poor have some money in their pocket. They should also not be provided distractions that would easily siphon off that money. For example, during the recent tsunami, the Government of Tamil Nadu provided immediate ex-gratia payment of Rs. 4,000 to survivor families. And do you know what the men did? They immediately spent all that money on liquor, leaving the women to wail. That is why Swami did not distribute cash but useful household items like a cooking stove, some cooking vessels, groceries etc., to the tsunami victims. Let me try and pull everything together so that you do not get the impression that I have been rambling. No doubt I did place before you a wide spectrum of facts relating to the world of today but the basic aim has been to stress the following. Where poverty elimination is concerned, economic, political and financial pundits associated with governments, aid agencies etc., are looking at matters from what I believe is a narrow point of view. There are no doubt many factors that contribute to poverty, but in all the analysis that people make, they pay little attention to how much the policies of big multi-national companies and the governments of rich countries contribute, both directly and indirectly to poverty. Analysts often take a local view of things. If there is extreme poverty in a particular country, it is all due to conditions and circumstances there. Up to a point yes, but not completely. Many people have been made poor by the aggressive economic and commercial policies pursued by the rich countries. All this is well documented. My worry thus is that in all the presently contemplated poverty abolition programs, what is given with one hand may be taken away with the other. I am strongly of the opinion that poverty can be removed only if everyone decides to stick strictly to Dharma. Unless the rich people of the world and the rich countries of the world abide by Dharma in the true sense of the word, we can at best get only temporary solutions. As long as some people want to sit on the mound of wealth, other people would perforce get pushed into the pit of poverty. In Rama’s Kingdom of yore, everyone did not have the same income; however, they all enjoyed the same happiness and satisfaction. That is because everyone had the necessities of life. 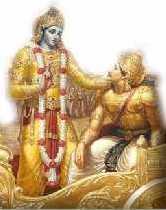 Moreover, the well to do, starting with the King, that is Lord Rama Himself, treated what they had as the property of God, and themselves as mere trustees of God. That’s really my point. Ego and desires can cause a lot of damage, especially when they reside in rich and powerful people. The greatest damage lies in Morality being thrown to the winds. We have seen this happen again and again. So while telling the poor what they must do and what they must not if they want to get out of the rut of poverty, the rich also for their part, must curb their excessive desires, take eternal values seriously and return to a Dharmic life. This is an issue we seldom think about since we are mostly concerned about ourselves, our desires, our ambitions, and our priorities. If we set all that aside for a moment and ponder seriously, we would realise that if mankind wants to improve, then it has no choice but to accept Swami’s teachings in toto. And that includes any solution sought for eliminating poverty. The solution involves not merely the poor but also the rich. The true solution lies in everyone going back to a Dharmic way of life. Was I very confusing? Perhaps so, but if I have set you thinking, then I have done my job!